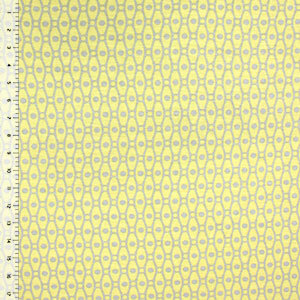 Hard to find Tencel spandex knit in a sophisticated color palette of butter yellow and gray with a mod-inspired dot and oval repeating design. Tencel is made from bamboo pulp and knitted with spandex to create a knit like cotton spandex that has a soft smooth and tight weave and is true medium weight with an excellent 4 way stretch and snappy recovery. See image for scale. 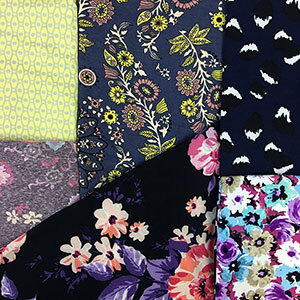 Top quality fabric great for dresses, tops, leggings, and much more!